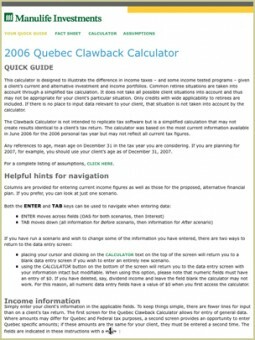 These calculators are custom developed PHP/MySQL calculators. 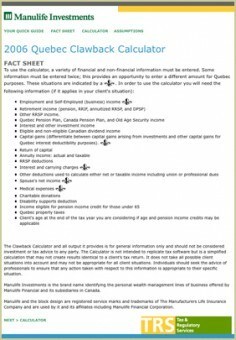 Produced for the team in Manulife Investments' Tax and Retirement Services (TRS) to enable sales representatives to produce quick tax calculations from local and remote locations. 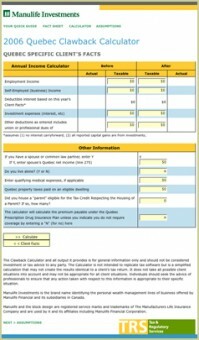 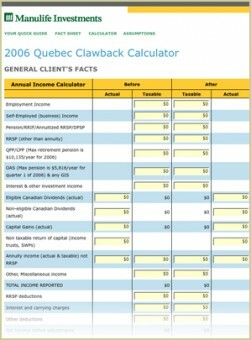 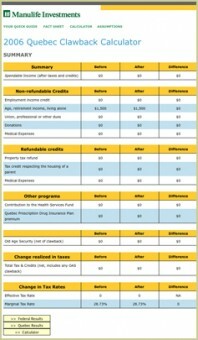 Someone developed this example for Quebec in both French and English, as well as versions for 2005 and 2006 for New Brunswick, Alberta, Manitoba, Saskatchewan, Ontario and British Columbia, incorporating province-specific data and tax rules.